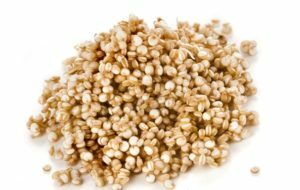 compared to other grains the quinoa has low fat, rich in vitamins , proteins etc., if you think of barley, wheat ,egg etc for proteins then quinoa is more rich in it. Now a days many are facing a problem with deficiency of Calcium and many of them prefer to take milk for calcium but if you don’t like milk then you can try Quinoa as it is rich in calcium. As quinoa is rich in Magnesium it helps in making your heart healthier, it also helps in solving digestive problems. Not only this, if you are facing any problem with headache then make sure of taking quinoa in your daily food, soon you will be getting the relief and also it helps you in making your brain active. If you like Indian food then you can try making kichidi with this.So if you are looking for healthy food then you must try quinoa. I hope you like this article and find it useful.